This is an excellent pie shell recipe, it comes out perfectly, and doesn’t have any exotic ingredients. 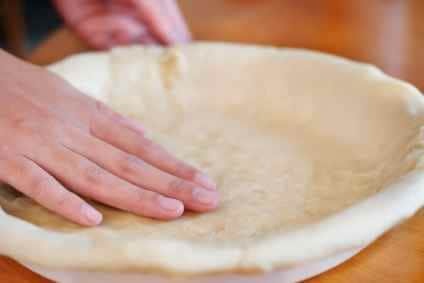 This is my go to recipe for making a homemade pie shell. Learn the technique and recipe from the baking queen herself and have perfect pie crust ready for your favorite filling. Put flour and salt in the bowl of food processor. 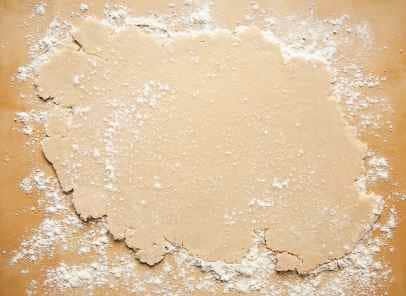 Cut the butter and shortening into the flour. Process a few seconds until the mixture resembles a coarse meal. Drop water very slowly and process briefly. The entire process should take about 20 - 30 seconds. Remove dough wrap in plastic wrap and chill for 1 hr. Remove from refrigerator and let stand for 15 min. before rolling out. Bake in a 400 oven until done. Can be doubled for top and bottom crust. This was so easy and it turned out really good!